Originally performed by the Ramones, U2 recorded the song in loving tribute to the Ramones. 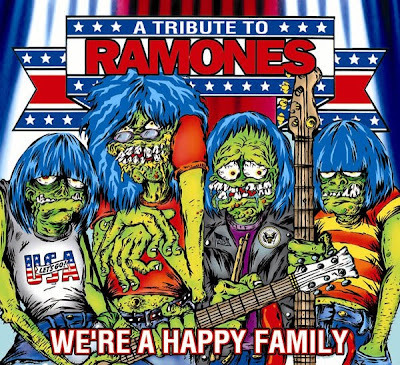 It can be found on the We're a Happy Family album which was a collection of Ramones covers. The lyrics are hardly an inspiring story yet "Beat on the Brat" was described by Dee Dee Ramone as a true story. "Joey saw some mother going after a kid with a bat in his lobby and wrote a song about it." So it could be viewed as a comment on difficult mother son relationships or it might just be a cool song.